Wonderful woody Shield Bug, with bonus blue sky. 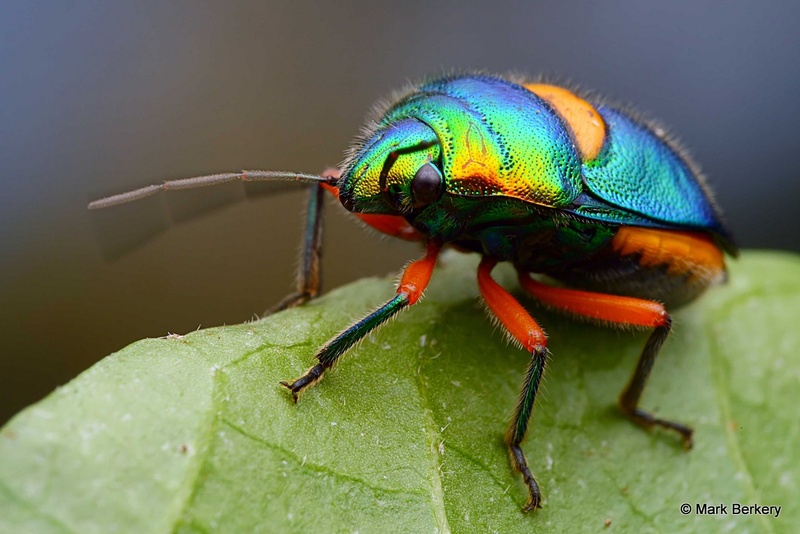 Jewel Bug, wag those antennae at me. 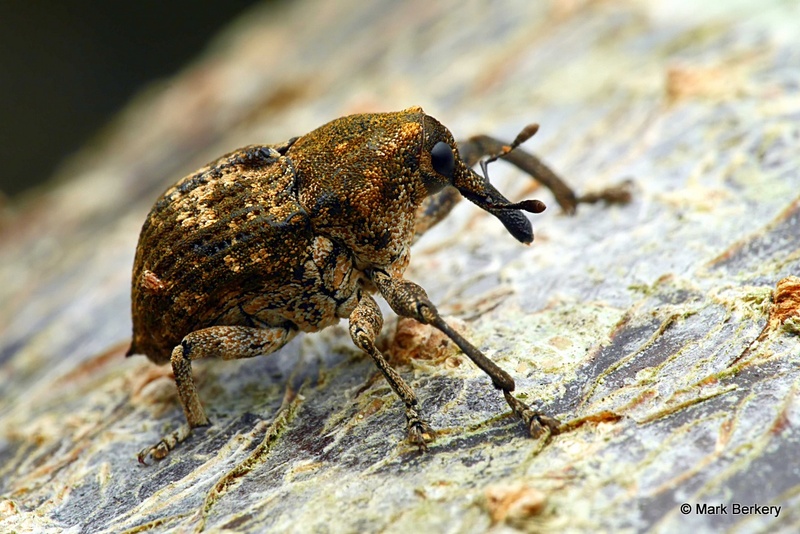 Wandering Weevil on the tree trunk. Hopper on the dead tree full of life. 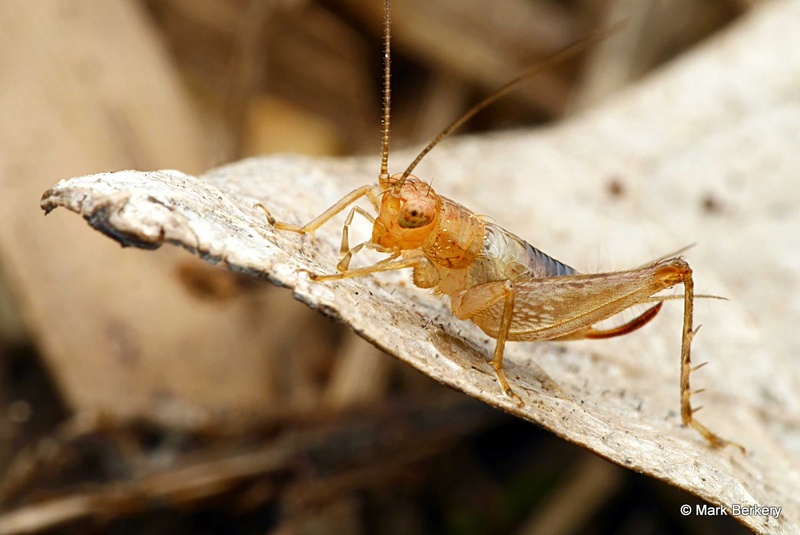 Cricket amongst the leaf litter. 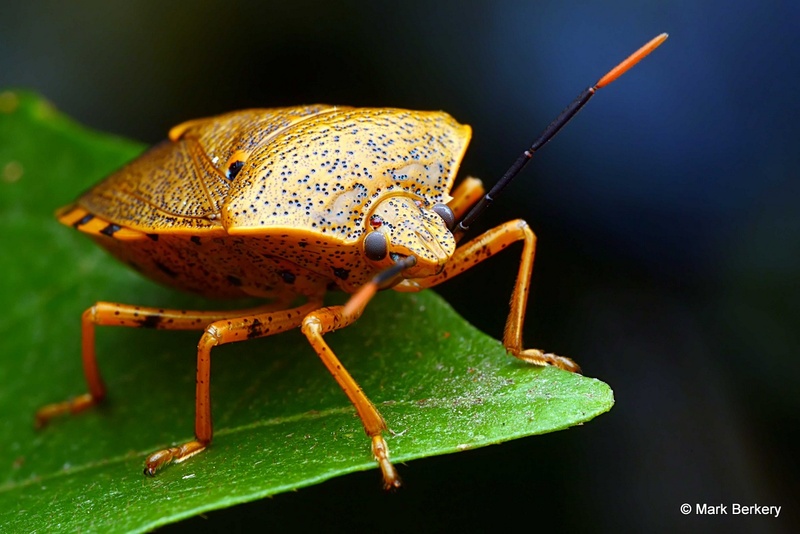 Out in the field, on the edge of the forest, myself and Deb – AussieBugs – went exploring. For bugs, what else. There is always something to be found when you take your time, some places are better than others, everything to its season. There are no rules but to walk, watch and wait. What presents nobody can design. That’s something you have to rest in, not knowing, and accept what comes. Everything has its time, learn from whom you can, how you can, and be grateful. But eventually you have to stop looking over your shoulder at what others think is right or good, that’s past, or passed. In the endeavour to improve, remembering what once was or thinking what others may think, however masterful they may be, eventually casts its own sticky web. Of course there’s always another angle or composition to be explored, whatever the art. 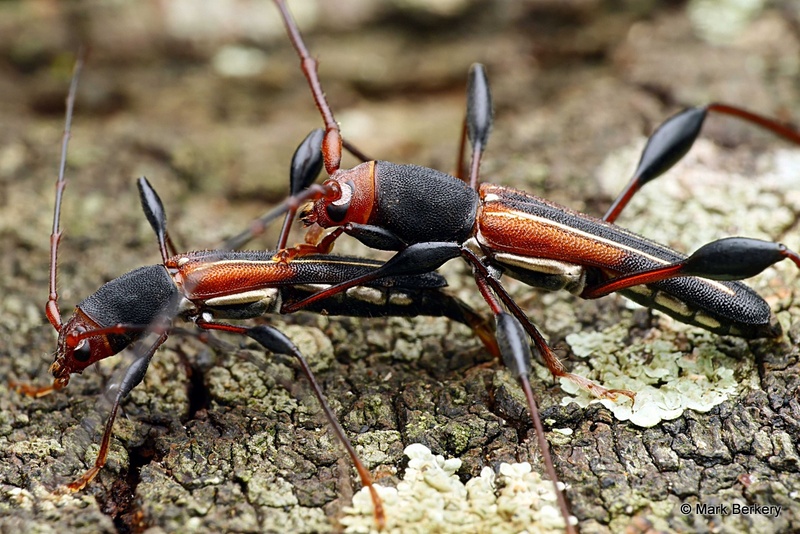 Are these insects dead when you shoot them? It always seems that way in the beginning. See here for the rundown – https://beingmark.com/macro-illustrated/ Respect is the key, employing a gentle approach. Super photos and great advice! 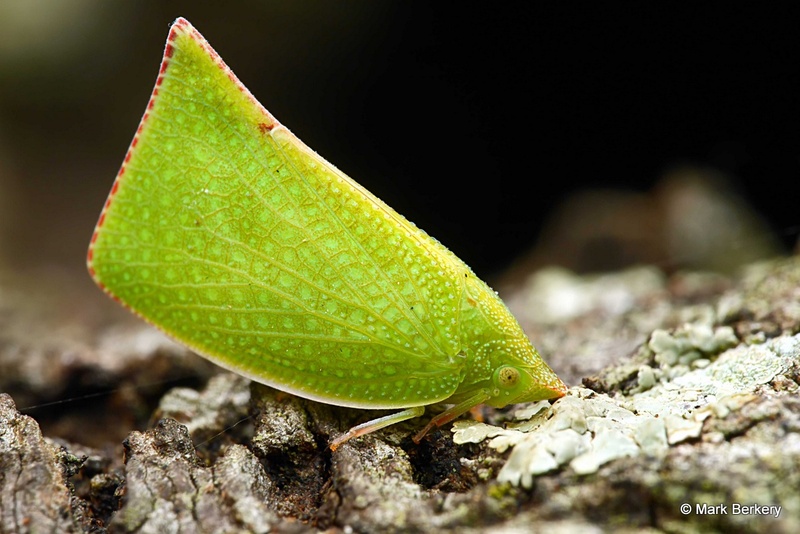 All fascinating living gems to take more care for when trespassing through nature. Fantastic world you bring to us, Mark. Brilliant colors and clarity. 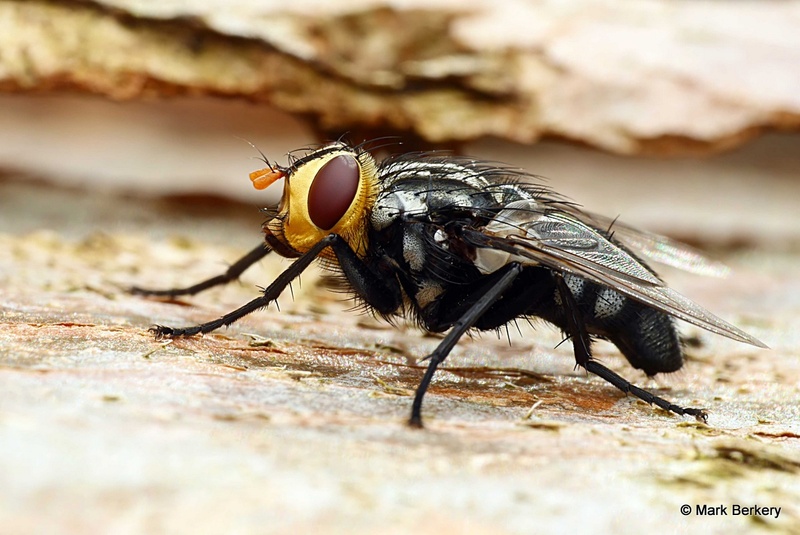 All the photos are great but I like the fly because it looks as if it is wearing a lucha libre or Mexican wrestling mask. Mark, I really appreciate your reverence for the life and processes you are observing and your generosity in sharing not only your amazing photographs but also your thoughts. Sometimes I get frustrated because the subjects are not identified, but then I remember that “naming” comes between us and life. Thanks Gordon. Yes, naming is a compulsion of mind and when it’s denied frustration ensues. And with practise of focussing on sense the frustration of mind fades – the wolf you feed. You have probably noticed it, naming, is almost entirely mental, while sense is a separate reality. Try it, name something, then see (sense) it without naming. Two different worlds. These are fantastic!!! I love every one! I love weevils, and that hopper looks almost like a sea creature. Both the shield bug and the jewel bug!! I just could hardly pull my eyes away from them. All so clear and detailed. You are a wizard, Mark! Thanks Mary. Yes, the hopper is a funny fishy one. Spectacular as always, I just LOVE those weevils.